Bestselling author Bernard Cornwell takes us back four thousand years, to a vibrant world of ritual and sacrifice that is at once timeless and wholly original. This historical novel unlocks the mystery of Britain's most haunting and puzzling structure, and tells a tale of three brothers—fierce rivals—who are uneasily united in their quest to create a temple to their gods. Lengar, the eldest brother, kills his own father to become chief of his tribe. Camaban, the illegitimate middle brother, is determined to have a massive temple built in his own honor. And Saban, the youngest, who actually builds Stonehenge, must act as mediator between the other two. 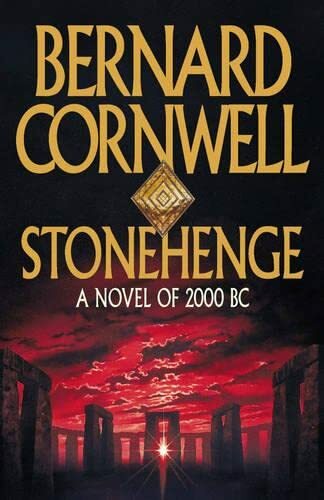 Stonehenge is the enthrallingly dramatic story of patricide, betrayal, and murder; of bloody brotherly rivalry; and of the never-ending quest for power, wealth, and spiritual fulfillment.